When it comes to mold removal, mold cleanup, mold decontamination, mold extraction, mold prevention, black mold abatement, and mold evaluation, HVAC system decontamination is critical to the indoor air quality of homes and commercial properties. Investigation phase: Identifies specific areas of concern and compiles decontamination service and recommendations such as air duct cleaning. Improve the air you breathe. 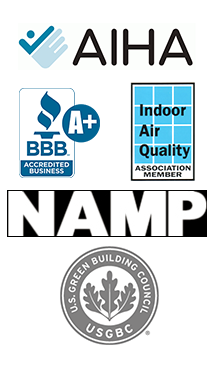 Every day we call on homeowners who want to improve the quality of their indoor environment. Their heating, ventilation and air conditioning (HVAC) systems are accumulating dust and debris and become breeding grounds for a variety of health threats such as dander, dust, pollen, mold and mildew. We come with multi-solutions. Our professionals use our system, utilizing video inspection equipment, mechanical brushes and cleaning cables, and high efficiency particulate air (HEPA) collectors. Our technicians will utilize a VI (Video Inspection) system to observe instant video footage of your air ducts for a thorough assessment, before and after cleaning. 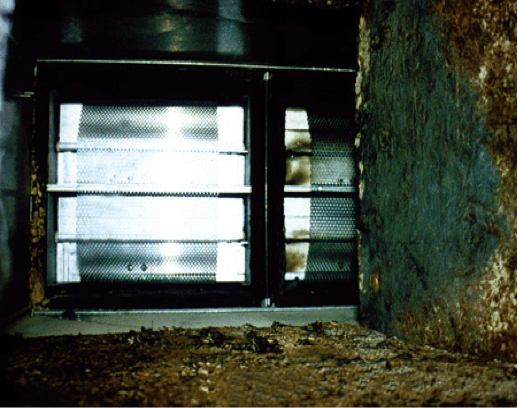 Through the use of a special vacuum, we pull the dust and debris from your ductwork and into our special self-contained collectors. To thoroughly clean your HVAC ducts, Dry Ease uses an advanced technology, with mechanical brushes that agitate and vacuum dust and debris simultaneously. The cleaning cables and mechanical brushes can run horizontally or vertically to reach areas difficult to access. Dry Ease uses only the highest quality equipment and products. 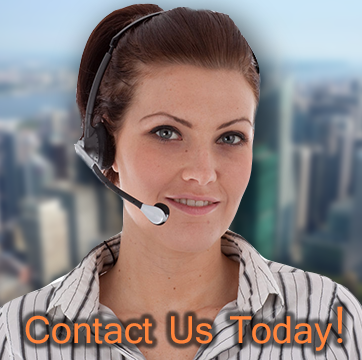 You can rest assured that you will breathe easier once our service is complete. Studies have shown that indoor air can be two to five times MORE polluted than outside air. Most disposable filters remove about 10% of these pollutants allowing 90% to enter the air system, even during the construction of a new home. The pollutants contain dust, pollen, mold spores, animal dander and much more. These materials collect in the furnace, air conditioner and duct surfaces, just as they do on the furniture and floor surfaces. These pollutants can migrate out into the room again, or become a food source for mold and bacteria, which can thrive in this dark comfortable environment from high humidity or moisture from the air conditioner or humidifiers. Biological growth can release mold spores or toxins into the air system. Can mold grow in a duct system and what problems can it cause? Mold spores require a stable temperature, a food source and moisture to live and reproduce. Dust and dirt that go through the filter are a good food source. The furnace/air conditioner is designed to maintain a comfortable temperature, and moisture is available from humid conditions in the environment, the humidifier in the furnace or the cooling coils in an air conditioner. Live molds can release spores that will trigger allergic or asthmatic reactions, sometimes severe, in about 10% of the population. Mold both living and dead can produce toxins that may cause short term allergic reactions. Long term exposures to low levels of some mold toxins can result in permanent chemical sensitivity to common compounds in the environment. Only Dry Ease can give you the best advice on cleaning your air ducts and indoor air using a unique package of services.